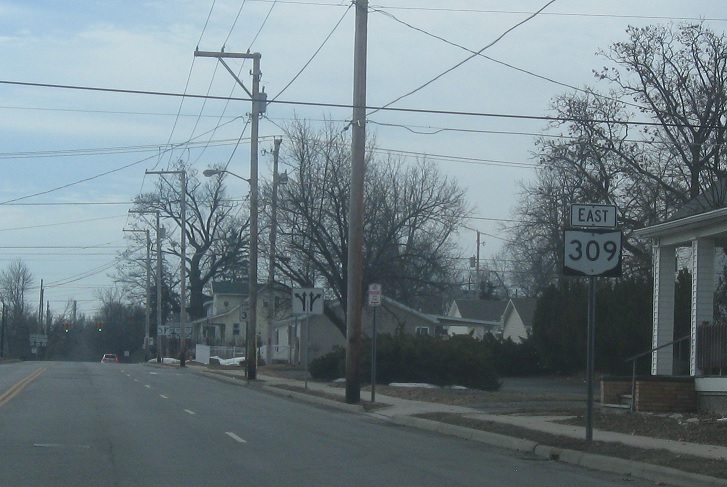 Reassurance shield after the SR 81 junction. Reassurance shield a couple blocks later. 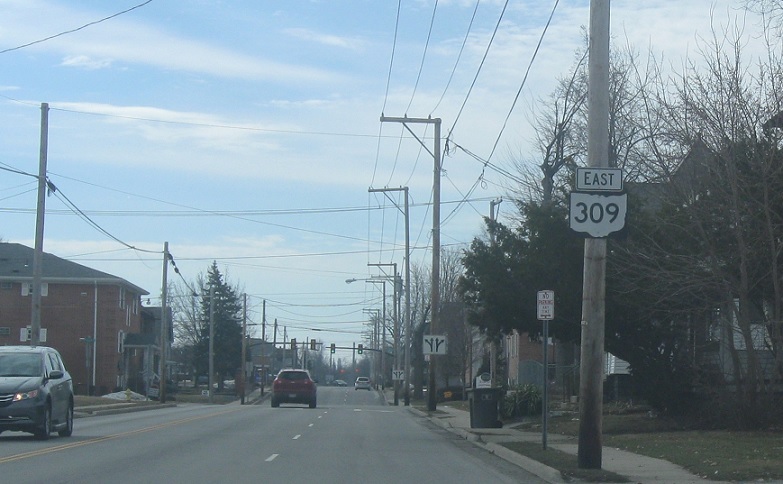 At the light, we’ll approach SR 309. 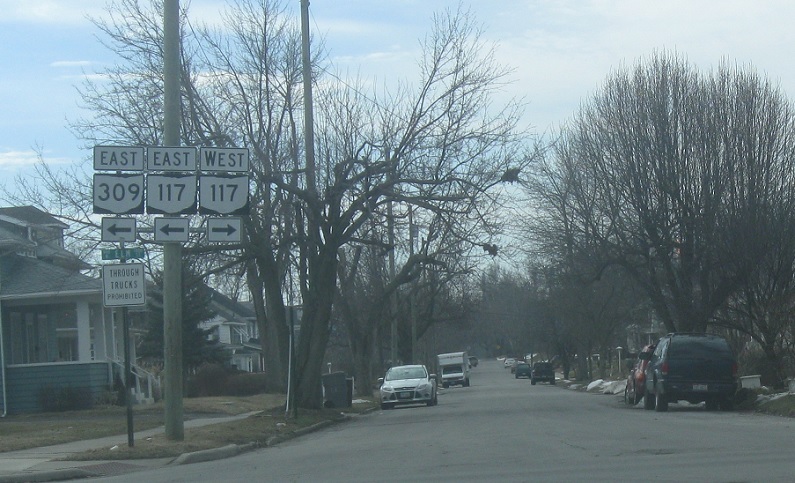 Turn left for 117/309 east and right for 117 west. 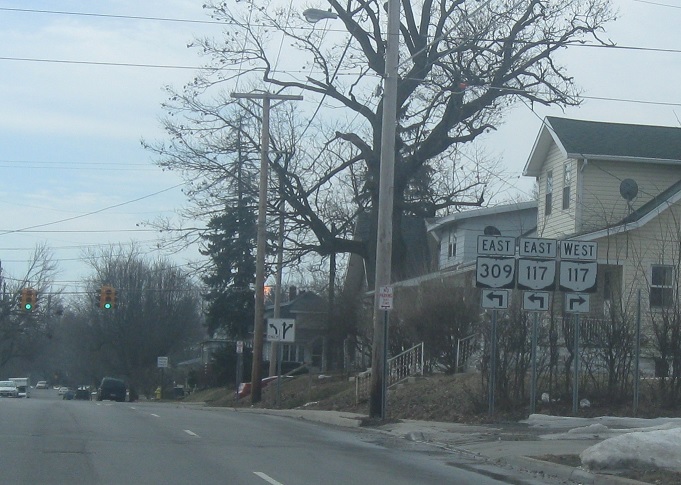 Turn left for 117 west and left for 117/309 east, which concur through Lima.